Emergency Dentists USA has a large list of emergency dental clinics available for you so that you do not have to miss a thing during your stay. The information we provide is accurate and makes it easy to pick out the right emergency dentist and be able to move on with your day. I lost a crown over a weekend so I knew I couldn’t get into my regular dentist. I am glad I found this website when doing a google search. I was able to call their hotline to get a dentist that could see me right away. There was also a section on lost crowns that was full of super helpful information! There are many options available to you to provide quality emergency dental services in this great city. Moreno Valley has several after hour clinics available to you, some that even offer Saturday dentist hours. Megha Joshi DDS and Achyut Joshi DDS have office hours available until 6 pm and Western Dental & Orthodontics has hours until 7 pm. They are also open late on Saturday until 6:30 pm, should you have a weekend dental emergency. Redlands Family Dental Center & Orthodontics has office hours Monday through Saturday 8 am until 5 pm to meet any dental emergency needs you might have. Moreno Valley Dental Group has office hours until 6 pm Monday, Wednesday, and Friday. They are also open Saturday and Sunday by appointment should you require their services during the weekend. A caring emergency dentist in the Moreno Valley area is easy to find with our listings here on Emergency Dentists USA. Our 24-hour emergency helpline at Emergency Dentists USA is here to link you to an operator that will find you just the right Moreno Valley emergency dentist regardless of your dental emergency. Description: When you are staying in an area that has one of the best climates in the country, sudden dental issues are one thing that will not make your stay any more enjoyable. Place a call to our hotline, and see just how fast we can get you in the chair of a seasoned professional to help you! Description: Western Dental & Orthodontics is a low-cost dental care clinic that accepts a variety of dental plans. They have office hours late in the afternoon during the week and are even open all day on Saturday to help you with any dental emergency need you might have. They are a professional and experienced team of caring individuals ready to help you during your time of need. 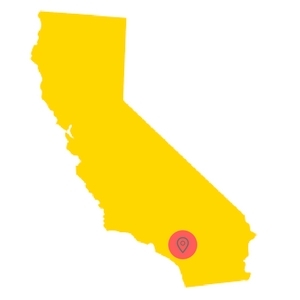 Description: The folks at this facility are trained to provide you with emergency dental services in Redlands, Moreno Valley, or any number of nearby cities. The goal is to help you understand the nature of your ER situation and get you back to a pain-free life as quickly as possible. You are encouraged to come in for a free consultation to evaluate this dentist and staff. Description: Megha Josh DDS and Achyut Joshi DDS is a family-friendly dental office in the Moreno Valley area. 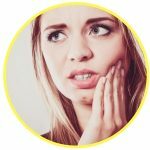 With appointments late in the afternoon during the week and weekend hours, there is no reason to keep suffering from a dental emergency. There are many financing and payment options available with this friendly clinic. Description: Moreno Valley Dental offers a variety of services including crowns, bridges, root canals, dentures, preventative dentistry and immediate emergency care. So, if you are looking for an ideal dentist on the weekends, the Moreno Valley Dental Group may very well be the one for you. – Emergency dentists in Moreno Valley do the same routine services such as cleanings, x-rays, and fillings. They also do more extensive services such as root canals and abscess care and usually are open extended hours. – It is important to have your dental x-rays and records ready to bring with you to your visit to your emergency dentist. Bring with you your dental cards and your identification. – Arrive at least 15 minutes early to your scheduled appointment to give yourself time to fill out any required paperwork and to give yourself time to ask any questions you might have. – It is important to be certain that your emergency dentist accepts your dental insurance and are a part of their dental network. Also, inquire as to which forms of payment they accept. – Tell your Moreno Valley dentist of any allergies that you might have. Also, prepare a list of any medication and supplements that you take to bring with you. A knocked out tooth, an abscess, or a lost crown does not have to stop you from enjoying your trip. There are many dental emergencies that can be quickly treated by an emergency dentist in Moreno Valley. These emergencies all require prompt treatment and should be handled as quickly as possible so that your situation is not made worse. Do not wait to seek treatment as a dental emergency may not seem important, but can quickly become dangerous if left untreated. An abscess is a pimple-like swelling that can be found on your gum. It is generally painful and it is a serious condition that requires immediate treatment by a dentist. The abscess is an infection that can spread to other parts of the body if it is left untreated. While waiting for your appointment with an emergency dentist, try rinsing your mouth with a mild salt water solution several times a day. This will ease the pain and draw the pus to the surface of the gum. Contact your emergency dentist as soon as possible to have this dental emergency treated promptly. Do not wait. A loose crown or a lost crown is an annoyance that can lead to a lot of pain if not treated promptly. If the crown comes off completely, the tooth can become extremely sensitive. If this happens, you can apply a bit of clove oil to the sensitive area using a cotton swab. Clove oil can be found in most drug stores or natural health stores. If you can, try to put the crown back over the tooth to keep it protected. Put a coat of over-the-counter dental cement, denture adhesive, or toothpaste on it to help hold it in place. Do not use any type of glue to stick the cap in place. There are a number of different things that can cause tooth trauma. A fall from a bike, a trip down the stairs, or even a missed baseball are all things that can lead to tooth trauma. It is important to contact your dentist to have your teeth looked at as soon as possible. If the accident caused trauma to your head or other body parts, you should go to the emergency room to be treated as you want to be certain there are no other issues other than your tooth. There are a few different reasons you might have to have a tooth removed or extracted. The tooth could be damaged by trauma, disease, or even decay. No matter what the reason might be, it is important to have it extracted as soon as possible before it leads to further complications. 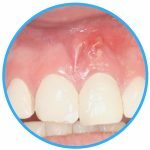 Before the extraction, you are given an anesthetic to numb the area and reduce your discomfort. You might be given anesthesia, depending upon the dentist and condition of the tooth. Once the mouth is numb, the tooth is removed in one piece or a few pieces, depending on the condition of the tooth. A gauze pack is placed over the extraction site to help a blood clot form. Do not chew on the gauze and do not eat while your mouth is numb. Once the blood clot is formed in the socket, you should avoid doing anything to disturb it. For the next 24 hours, you should avoid drinking through straws, drinking alcohol, smoking, and any strenuous activity as this can dislodge the blood clot. Take your prescribed medication as directed, and clean your mouth carefully being careful to avoid the area near the extraction site. If you have any type of dental emergency, your Moreno Valley emergency dentist is there to help you in your time of need. They are your best option when it comes to an emergency dental issue in most cases. There are times though that it is imperative that you visit the emergency room even for a dental emergency. If you’re involved in an accident such as a car accident, fall, or a severe sports injury, you should immediately go to the emergency room and have them check you over for any broken bones or other injuries. The emergency physician is there to help you and they are able to do x-rays and prescribe you antibiotics or painkillers. They will then refer you to an emergency dentist in the Moreno Valley area. For lost fillings, broken crowns, and issues such as these, contact your emergency dentist as the emergency room can do nothing for that. When you choose to visit a Moreno Valley emergency dentist, it is always an important idea to verify the dentist’s credentials with local state and city dental associations. The American Dental Association offers a convenient search options for this process on their website. There is also information available to you about California dentists and their credentials on the Dental Association of California website.